High in his bamboo tree, a young panda named Chengdu lies awake while everyone around him is sleeping. No matter what he tries, he cannot fall asleep. He turns and he tosses. He scrunches and he rolls. He even hangs upside down. Finally he climbs up and up and up, until he finds the perfect spot atop his brother. Panda pile! 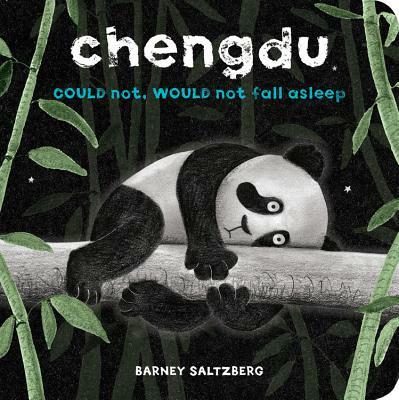 Barney Saltzberg (barneysaltzberg.com) is an author/illustrator/singer/songwriter who has published close to 30 children's books, including BEAUTIFUL OOPS! and CHENGDU CAN DO, a companion to this book. He studied art at Sonoma State College in Northern California and later took a class at Otis/Parsons in children's book writing and illustrating, where he created his first book, It Must Have Been the Wind. He lives in Los Angeles, California.